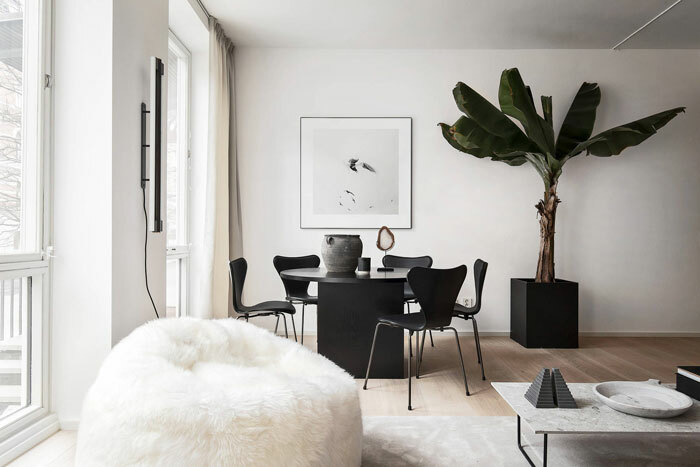 Stylist Annaleena Leino Karlsson did a great job with this Stockholm apartment for sale! 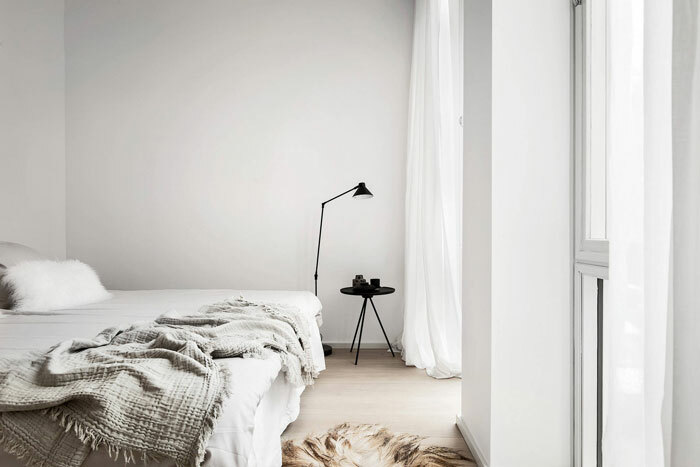 It is elegant, beautiful and simple… There is a serene atmosphere, thanks to the soft palette. 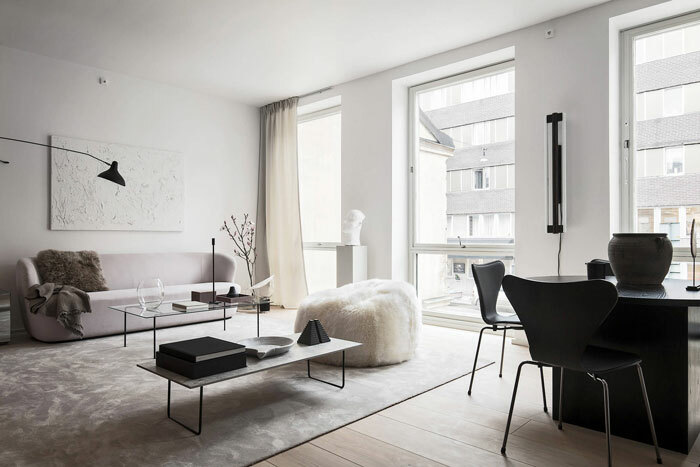 I’m loving the luxurious textures of the rug, throw, cushions and shaggy chair – So rich! 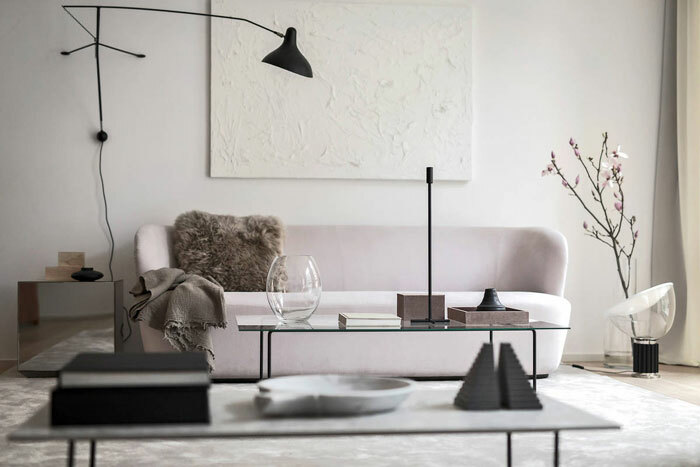 Annaleena used products from her own studio, like this candle holder and the dining table, as well as a Mantis BS2 wall lamp, a Suede box and tray by Nordstjerne, a Taccia lamp by Flos, a Stay sofa by Gubi, and Black Series 7 chairs by Fritz Hansen, among others. 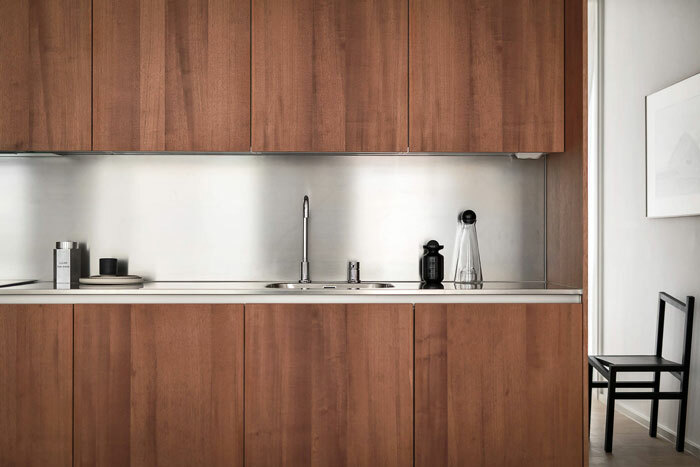 The kitchen and bathroom cabinets were custom built using veneered doors made of Spanish cedar. 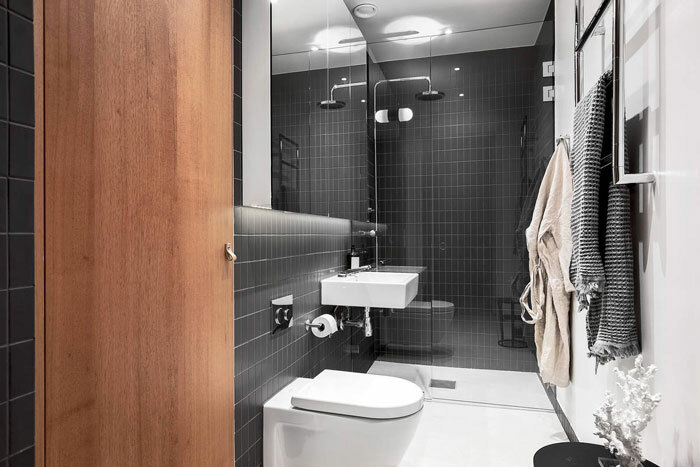 They add a slight retro feel to the otherwise contemporary space.